Night driving is a real issue for some of us. The clocks turn back, the days get shorter, and we are forced to drive in the dark. In a three-year study by insurance company Zurich Connect, they found that road accidents increased by 11% in the fortnight after the clocks go back, when compared to the previous two weeks. Additionally, there are approximately 17 million drivers in the UK who struggle to see at night whilst driving, that’s half of all drivers! It’s also thought that 31% of those people avoid driving at night as a result. But what causes night driving problems and what are the solutions? 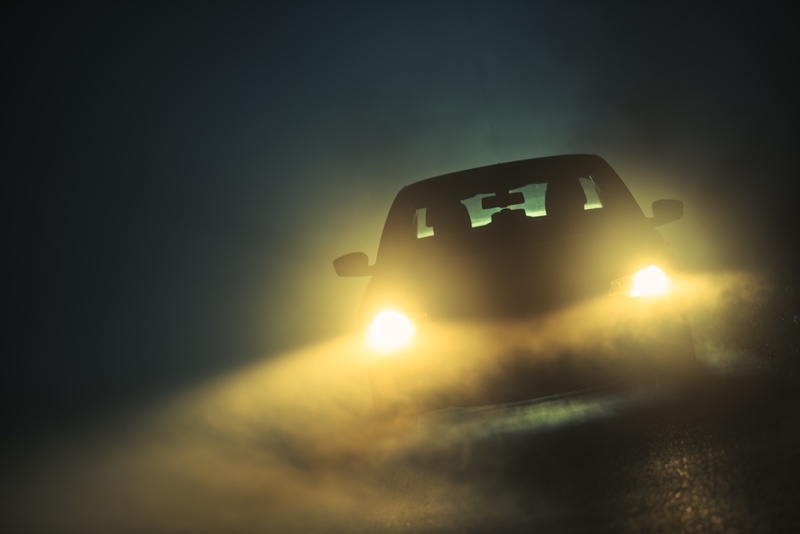 Lights at night time come from all directions – headlights, traffic lights, street lamps, and they can cause a reflection and glare on your glasses. This will disturb your eyes, creating discomfort and lowering your ability to see in focus. You will find it more difficult to spot hazards such as junctions or bends and to see more vulnerable road users such as pedestrians, cyclists and motorcyclists. Additionally, as we grow older, our eyes take longer to react to changes in light and we can have difficulty with colours and contrasts in low light. According to the ROSPA (Royal Society for the Prevention of Accidents), between the ages of 15 and 65, the time it takes to recover from glare increases from 1 to 9 seconds. A variety of changes in the eye can contribute to discomfort from glare during night driving too. This is commonly caused by cataracts which produce effects similar to looking through a dirty window. So what can you do if you have night driving problems? It’s really important to have your eyes tested at least once every 2 years or as recommended by your optometrist. This will ensure that any eye problems that may be causing issues with night driving are picked up and corrected. Driving at night increases the size of your pupil which can accentuate any existing small errors in focussing, which may cause a blur. If you notice such a blur, your current glasses or contact lenses may need adjusting or you may need an optical correction. It could be worth having lenses such as Essilor’s Road Pilot which eliminate glare and improve contrast. Reflections from the surfaces of lenses can sometimes cause multiple images of lights at night. Essilor’s Road Pilot lenses with Crizal Drive anti-reflective coating will reduce reflections at night time by up to 90%. Try to keep to well-lit roads, but avoid looking directly at lights. Instead, avert your eyes from head lights when oncoming traffic approaches. Make sure you use the “night” setting on your rear-view mirror using the lever on the mirror. You’ll still be able to see cars’ lights behind you, but they’ll be much dimmer. You should also avoid using lights inside your vehicle, which can temporarily impair your vision at night. Wear sunglasses during the day. Glare from the sun can cause eye strain and impact your vision at night. The most common reason for haloes and reflections is a dirty windscreen (both inside and out). In the same way scratched or dirty spectacles can contribute to unwanted scattered light; so can condensation on any of these surfaces. It is a good idea to always clean your windscreen and spectacles before night driving. Any form of tinted lenses (including amber) may make vision worse. Windscreen tints have a similar effect and this is why the Highway Code warns drivers not to use any form of tint at night. We hope these suggestions can help you, but if you have any questions or would like any more advice, please do get in touch and we’d be happy to help.